Hemodialysis and peritoneal dialysis is an imperative treatment for people suffering from chronic kidney disorder or acute kidney damage. Hemodialysis and peritoneal dialysis techniques support the kidneys to filter and eliminate the extra fluid as well as waste from the body. the Peritoneal dialysis process uses the lining of the abdomen to filter the blood in individuals suffering kidney failures. Whereas the hemodialysis helps to remove wastes such as urea from the blood, alongside preserving the appropriate equilibrium of electrolytes in the blood using a distinctive filter known as an artificial kidney. The major factor fuelling the global hemodialysis and peritoneal dialysis market is growing global number of people suffering final phase renal ailment and high occurrence of hypertension and diabetes. According to the National Institute of Diabetes and Digestive and Kidney Diseases Health Information Center reports, approximately 661,000 people in the U.S. are suffering from kidney failure. Moreover, out of these numbers, around 468,000 individuals are on dialysis, and approximately 193,000 are living with an operative kidney transplant. Moreover, according to the National Kidney Foundation, approximately 10% of the global population is affected by chronic kidney disease (CKD). Over 2 million people currently receive treatment with dialysis or a kidney transplant. Additionally, shift from kidney transplantation to regular dialysis processes and growing investments and research and development by key market players to develop novel hemodialysis products are anticipated to boost the market growth. Furthermore, untapped economies and advancement in technology in hemodialysis and peritoneal dialysis processes offers lucrative opportunities for the growth of the hemodialysis and peritoneal dialysis market. However, complications and the risks associated with hemodialysis as well as peritoneal devices and the cost of the dialysis processes along with unsteady reimbursement policies may hinder the market growth. The global Hemodialysis and Peritoneal Dialysis Market is segmented on the basis of dialysis type, product type, end users, and geography. On the basis of geography, the global Hemodialysis and Peritoneal Dialysis Market is segmented into North America, Europe, Asia Pacific, Latin America, and Middle East & Africa. In terms of geography, North America is estimated to dominate the global Hemodialysis and Peritoneal Dialysis Market. Increasing number of people suffering in this region is the major factor for the growth of the market in North America. For instance, according to the National Institute of diabetes and digestive and kidney diseases reports, each year, kidney disease kills more people than cancer. Moreover, in 2013, more than 47,000 Americans died due to kidney disease. 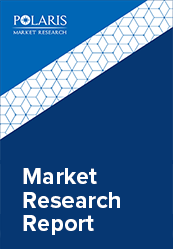 In addition, factors such as improved per head income as compared to other regions, favourable reimbursement scenario, increasing government support, and huge demand for dialysis procedures are other factors anticipated to boost the market growth. In addition, merger-acquisition between product service providers and product manufactures are amplifying the market. For instance, in 2017, Fresenius Medical Care AG & Co. KGaA announced the opening of eight new centers in association with John Hopkins Hospital in the U.S. The collaboration is expected to meet the rising demand for appropriate care for renal failures in this region. However, Asia Pacific is expected to dominate the global Hemodialysis and Peritoneal Dialysis Market. Increasing prevalence of kidney failure cases and rise in medical tourism with the escalation of government support is anticipated to boost the market growth in the Asia Pacific.